The foundations of rhythm are built on the Euclidean sequence, unlock it's ancient potential. The Rebel Technology KLASMATA Euclidean Sequencer is a very special sequencing module. Use the Euclidean sequence to algorithmically develop natural sounding beats or rhythms. The KLASMATA creates a musical structure from an incoming clock meaning that it is excellent for sequencing drum patterns or complicated synthesizer sequencing. With a wide step range of 1-32 the possibilities for complex sequencing are endless. Generate real world rhythms using complex Euclidean sequencing. The KLASMATA is a powerful sequencing module that creates musical rhythms. The Rebel Technology KLASMATA uses Euclidean sequencing, a special mathematical pattern found at the foundation of musical traditions around the world. From Calypso to Tango, to the same rhythmical patterns used in bebop and romantic classical, or something entirely new, the beat patterns from the KLASMATA are rich and natural sounding. Use it on your drum patterns to unlock their rhythmic potential or on a VCO for complex melodic sequencing. 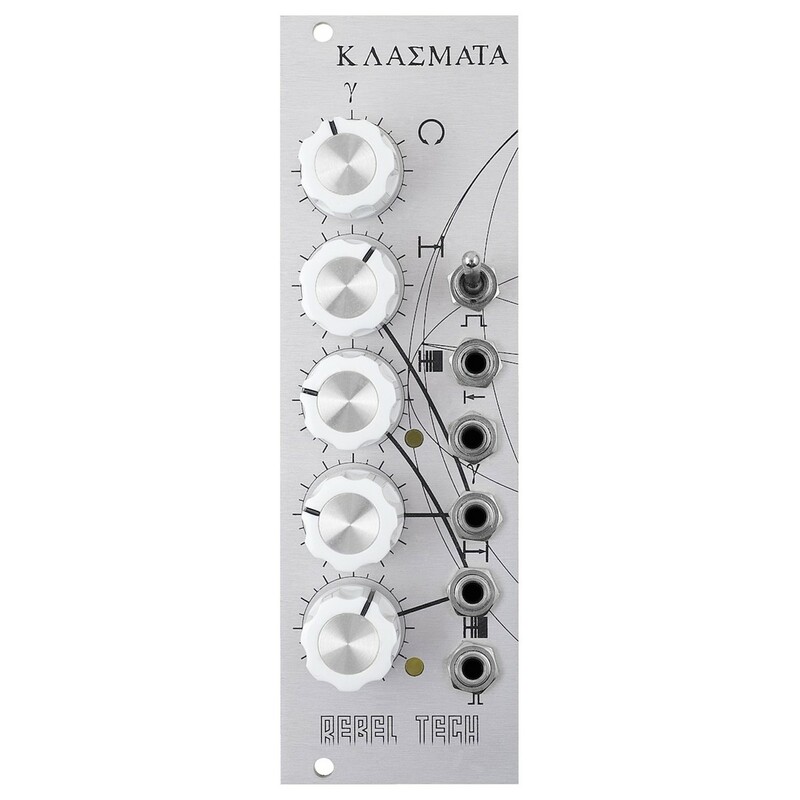 The Rebel Technology KLASMATA Euclidean Sequencer is an extraordinarily powerful tool for your modular synthesizer.